Bay City News posted an article today with the following headline: “IRS analyst charged with leaking Michael Cohen bank records.” What was leaked was a bank report of suspicious activity. IRS investigative analyst John Fry, 54, was charged in federal court in San Francisco on Feb. 4 with leaking information about Michael Cohen’s (formerly President Trump’s personal attorney) bank records. Michael Avenatti, a lawyer for adult film actress Stormy Daniels, posted those records online. An employee of the IRS has stated that Fry talked with Avenatti the day before the records were posted online. The crime that John Fry is charged with carries a jail sentence of five years if he is committed. It is time that all of the people in government who are using their positions for political purposes or personal gain were removed. If the IRS cannot clean up its act, it needs to be put out of business. Folks, these checks are coming out of our tax dollars. As taxpayers we are paying for the corruption in the IRS during the Obama administration. This was an egregious violation of free speech and disregard for the law, and no one actually was held accountable. That is sad. Yesterday Breitbart posted an article about one aspect of illegal immigration–identity theft. Wilcox said American children are the most vulnerable to illegal aliens stealing their identities and using their Social Security Numbers to work in the country. “Studies have found that it affects children the most because see illegal aliens prefer to use children’s’ Social Security Numbers because your child … won’t apply for a loan for years, so the illegal aliens probably won’t be caught for decades possibly,” Wilcox said. I know someone whose social security number was used by an illegal alien. The theft of the number was discovered when the person went to file his income taxes. Thankfully the Internal Revenue Service realized what was going on and solved the problem by issuing the person a special PIN number that they now have to use when they file their taxes. This prevents their taxes from being mixed up with any taxes filed by the person who stole their social security number. This is something that would not happen if we were to gain control of our borders and institute a reasonable immigration policy that would be fair to both Americans and people who want to come to America. The problem with passing immigration reform is that big business pays off the Republicans in Congress and Democrats believe they can persuade the illegal immigrants to vote for Democrats as soon as they are citizens (and unfortunately before they are citizens in some cases). If either party wanted to solve the illegal immigration problem, it would have been solved by now. Democrats had the White House, the House and the Senate for two years under President Obama, and Republicans currently have the White House, the House and the Senate. Although there are some Republicans who would support immigration reform if given the chance, they are outnumbered by those receiving large campaign contributions from corporate interests who want cheap labor. The only way we will have secured borders and sane immigration policies is to vote out those politicians in both parties who are blocking any legislation on the matter. CNS News posted an article on Friday about identity theft in America. 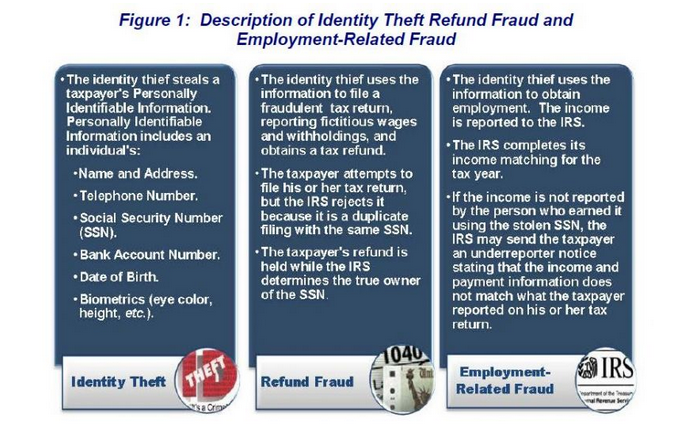 The Internal Revenue Service in 2011 through 2016 documented more than 1.3 million cases of identity theft perpetrated by illegal aliens whom the IRS had given Individual Taxpayer Identification Numbers (ITIN), which are only given to people who are ineligible to work in the United States or receive Social Security Numbers, according to information published by the Treasury Inspector General for Tax Administration (TIGTA). Imagine how you would feel if you were one of the people whose identity had been stolen–would you want the person prosecuted? The article reminds us that using a fake or stolen Social Security is a felony. In a follow-up report in 2004, TIGTA concluded that ITIN holders who filed tax returns using a Social Security Number were in fact illegal aliens. “Our conclusion is that, generally, the individuals who file a United States (U.S.) Individual Income Tax Return (Form 1040) with an ITIN as the identification number and receive wages that are identified with a Social Security Number (SSN) on the attached Wage and Tax Statements (Form W-2) are unauthorized resident aliens,” said TIGTA. However, the IRS can refer identity theft cases to the Justice Department for criminal prosecution. So, how many of the 1,346,485 cases of employment-related identity theft the IRS documented in 2011 through 2016 did it refer to DOJ? How many of the 1,227,579 cases in 2017 where an ITIN holder used an SSN that was fabricated or had not been issued to them did the IRS refer to DOJ? The IRS’s Criminal Investigation division publishes an annual report stating how many “prosecution recommendations” it makes each fiscal year and the crimes for which it makes them. In the six fiscal years from 2011 through 2016, according to these reports, IRS CI made 20,986 prosecution recommendations and 4,329 of them were for identity theft cases. If everyone one of these identity theft prosecution recommendations had been for a case of employment identity theft—rather than refund-fraud identity theft—that would have equaled 0.3 percent of the 1,346,485 ITIN-holder cases the IRS documented in those years. It seems to me that we should prosecute these cases and send those committing the crimes back to their home countries. It sounds as if our government is not at all interested in protecting Americans from identity theft. What happened during the end of the Obama Administration was a violation of the Fourth Amendment rights of American citizens by the abuse of a secret court. It is the obligation of the government to insure that never happens again. The surveillance of the Trump campaign and transition team makes the wiretapping engaged in by the Watergate burglars look like child’s play. The use of government agencies for political purposes was something that happened more than once in the Obama Administration–the IRS was eventually forced to pay fines to the conservative organizations it refused to grant tax-exempt status to. The purpose of not granting the tax-exempt status was to silence organizations engaging in conservative speech during the 2012 elections. Regardless of where you stand on the political spectrum, that is a dangerous thing. Remember, it is always possible that someday the shoe will be on the other foot. If we don’t end the practice of using the government against people who disagree with us now, it will not end. Newsmax posted an article today explaining how some taxpayers in high tax states can prepare for the changes in their deductions that will occur in the coming year. Homeowners will be allowed to pre-pay their 2018 state and local real estate property taxes before the end of the year and deduct them on their 2017 returns only under limited circumstances, the Internal Revenue Service said Wednesday. The announcement comes after many homeowners in states with the highest property taxes rushed to prepay their 2018 property taxes in hopes of saving on their federal taxes since the deduction will be scaled back in the tax law passed by Republicans last week. The IRS in its statement said taxpayers can claim an additional property tax deduction on their 2017 returns if taxes are assessed and paid for before the end of the year. Some states and localities allow people to prepay their state and local taxes, including property taxes, but other states and localities that don’t will have to interpret exactly what that means for their residents. Under the recently passed tax bill, residents in states with high taxes will be limited to $10,000 in state tax deductions. When you consider that some residents of New York, New Jersey, California and certain other states may pay as much as $30,000 in property taxes, that will be a significant change. What this change means to the people in states with reasonable taxes is that the residents of those states will no longer be subsidizing the people who live in high tax states. That is actually a more equitable system–even if the people in the high tax states don’t appreciate the change! CNS News posted an article today detailing which Americans pay our taxes under the current tax code. Please follow the link to article and read all of the statistics. It is amazing that America has prospered at all under this warped tax code. Of the 150,493,263 filers who submitted individual income tax returns to the Internal Revenue Service for the 2015 tax year, only 99,040,729 paid any income tax at all. Together, those Americans paid a record $1,457,891,441,000 in total income taxes — for an average of $14,720 per taxpayer. The other 51,452,534 — or about 34.2 percent of all filers — did not pay a penny. Their average income tax payment was $0. This is a fundamental divide in the American tax system. On one side are those who do pay taxes; on the other, those who don’t. So who paid the taxes the federal government needed to send that $89,614,669,000 to those 30,417,609 who paid no income tax? In 2015, according to Table 1.2 in the IRS report, 54,294,820 belonged to this group — with 41,551,043 joining the side that did pay taxes, and 12,743,777 joining the side that did not. Thus, while 34.2 percent of all filers paid no income taxes, only 23.5 percent of married couples filing jointly paid no income taxes. The 41,551,043 married couples filing jointly who did pay income taxes accounted for only 27.6 percent of all 150,493,263 filers. But they made up about 42 percent of the 99,040,729 filers who did pay income taxes. More tellingly, of the record $1,457,891,441,000 in total income taxes the IRS collected for tax year 2015, married couples filing jointly paid $1,040,684,097,000 of it — or about 71.4 percent. So, married couples filing jointly constituted only 42 percent of filers who actually paid income taxes, but they paid 71.4 percent of the income taxes. Obviously, this is a tax system that drastically needs to be overhauled. Hopefully the tax bill passed today represents that overhaul. The American tax code is a tribute to the effectiveness of lobbyists and big campaign donors. The loopholes in the code for people who make a lot of money are numerous. Even with loopholes in place, the rich pay a lot of taxes. As I have previously reported, The top 10 percent of income earners, those having an adjusted gross income over $138,031, pay about 70.6 percent of federal income taxes. About 1.7 million Americans, less than 1 percent of our population, pay 70.6 percent of federal income taxes. These numbers come from actual IRS data. However, it seems that when it comes to eliminating loopholes, it’s always the middle class loopholes that go away. Breitbart posted an article today about Congress‘ latest effort to take away a middle-class tax break. Because of a certain lack of faith in the future solvency of Social Security, many employers offer employees 401k retirement plans. Aside from allowing middle-class families to save for the future, these programs provide a place to put money so that it will not be taxed during the highest earning period of the employee. It will be taxed later at retirement when traditionally a person’s earnings are lower and generally taxed at a lower rate. Congress was evidently planning to alter the current system. House Republicans were considering a plan to slash the amount of income American workers can save in tax-deferred retirement accounts. Currently, workers can put up to $18,000 a year into 401(k) accounts without paying taxes on that money until they retire and withdraw money from their savings. Proposals under discussion on Capitol Hill would set the cap lower, perhaps as low as $2,400. The effect would be a huge tax hike on middle class workers. The plan to lower the cap on 401(k)’s would not have had an effect on long-term government deficits. Instead, it would have raised tax revenue now but lowered it in the future, since the retirement savings would already have been taxed. But taxing the savings would have had an impact on household budgets and may have discouraged workers from saving, increasing their future dependence on government benefits. Let’s cut spending to ‘pay for’ tax cuts. Actually, if taxes are cut, economic growth should increase to a point where there is no loss of revenue. During the 1980’s, after President Reagan cut taxes, government revenue soared. Unfortunately, the Democrats who controlled Congress at the time greatly increased spending, so the government debt increased rather than decreased. Generally speaking, lowering taxes increases revenue–people are less inclined to look for tax shelters. Congress needs to keep this in mind while revising the tax code. Yesterday The Washington Times reported that the Internal Revenue Service was extremely generous with taxpayer money–paying millions of dollars in refunds to people who were not legally entitled to them. The IRS doled out more than $24 billion in potentially bogus refunds claimed under several controversial tax credits in 2016, according to a new audit that said $118 million was even paid to people who weren’t authorized to work in the U.S. in the first place. Some $16.8 billion in payments were made on improper claims under the Earned Income Tax Credit, signifying a 24 percent error rate. Investigators also estimated $7.2 billion in improper payments for the Additional Child Tax Credit, representing 25 percent of the total, and $1.1 billion in improper payments, or 24 percent, for a higher education tax credit. The totals and error rates for the earned income and child credits were comparable for 2015, while the education tax credit saw improvement. The article explains that Congress passed a law in 2015 that was supposed to curb payments to people who were not entitled to them. Both the inspector general and the tax agency said that steps have already been taken to try to prevent a repeat in the future, saying that a law passed in late 2015 should help. Treasury Inspector General for Tax Administration J. Russell George said the IRS needs to follow through on the 2015 law, which imposes more restrictions on certain filers and delays refunds for people claiming the credits to give agents more time to flag suspicious returns. One particular problem the IRS faces is checking people who have Social Security numbers but who aren’t authorized to work in the U.S. This is one place that the federal budget could be easily cut. Tax refunds should only go to the people entitled to receive them. Tax cuts create economic growth. Government revenues soared to record levels during the Reagan Administration. Had Congress not gone wild with spending, we could have made serious progress on cutting our deficits. One of President Trump‘s campaign promises was to simplify the tax code and cut taxes. That is a fantastic idea that will encounter many obstacles. One of those obstacles is the federal deduction for state and local taxes, also known as the SALT deduction. The fight to eliminate this deduction is going to be brutal. Why? Because the SALT deduction essentially forces taxpayers in states with lower state taxes to subsidize taxpayers in states with higher state taxes. The states with ridiculous state taxes– for example California, New York, New Jersey, Connecticut, and Massachusetts–face less opposition to tax increases when their voters know their state taxes can be deducted on their federal tax forms. Residents of high-tax states get a break on their federal income tax because of the high state taxes they pay. The Wall Street Journal posted an article about this on June 22nd. First, it’s hard for Democrats to argue that the tax reductions in Mr. Trump’s plan are budget-busters when killing the SALT deduction would add $1.3 trillion to federal coffers over a decade, according to the nonpartisan Tax Policy Center. That would pay for a lot of personal and business tax cuts, even without factoring in the faster growth that could pay for those cuts over time. Second, Democrats can’t say Mr. Trump’s plan isn’t real reform. The SALT deduction is a distortive subsidy to states. It encourages them to raise taxes, because voters can deduct those higher taxes from their federal tax bill. Third, there’s little in this for red states, because they generally have lower tax rates to begin with. Therefore, according to the Internal Revenue Service, blue states with higher tax rates receive about two-thirds of this break. In fact, half of the $100 billion tax break goes to six deep-blue states: California, Illinois, Maryland, Massachusetts, New Jersey and New York. Democrats in favor of preserving the SALT deduction are simply self-interested. There is no doubt that the SALT deduction is going to be a major bargaining chip when the discussions on tax reform begin. Stay tuned. The Washington Times posted a story yesterday about the problem of illegal aliens using social security numbers stolen from American citizens. The Treasury Inspector General for Tax Administration released its report Thursday stating that in 2015 there were potentially 1.4 million people likely affected by the the theft of their social security numbers. The IRS knows of 2.4 million people a year who file taxes using an Individual Taxpayer Identification Number, which is generally given out to immigrants who aren’t authorized to work. But the IRS is not allowed to talk with Homeland Security to help agents identify who and where those taxpayers are. The migrants file their forms with their ITINs, but the W-2 forms they submit show valid Social Security numbers that they fraudulently gave to their employer to clear an initial work authorization check. A staggering 87 percent of forms filed online using ITINs showed income credited to a Social Security number. More than half of forms filed by paper also showed that same fraudulent behavior. The IRS tries to mark the files of the fraud victims when electronic filings are used. But the tax agency misses about half of the victims, the inspector general said. For paper forms, the IRS did even worse, the audit found. Kenneth C. Corbin, commissioner of the IRS’s wage and investment division, said it has just completed a pilot program to figure out how to notify taxpayers they’re the victims of fraud. The inspector general submitted recommendations with his report, by the IRS says its resources are too small to implement all of those recommendations. If you will excuse a personal gripe here, the IRS had enough resources to audit me the year I made a donation to the Tea Party. Nothing on our taxes had changed, and it was the first time my husband and I had been audited in 40+ years. I think the resources to solve the problem of stolen social security numbers could be found if the desire were there. The Washington Examiner reported yesterday that one of the steps President Trump will be taking to help balance the budget next year will be reining in tax payments to illegal immigrants. Trump’s fiscal 2018 budget, set to be released Tuesday, will set higher eligibility standards for the earned income tax credit and the child tax credit, Office of Management and Budget Director Mick Mulvaney said Monday. According to the administration, the measures will save $40 billion over 10 years. There is no reason to continue funding tax fraud. Some anti-illegal immigration groups have said that allowing workers to claim credits without providing a Social Security number amounts to paying illegal immigrants to stay in the country. Conservative lawmakers also have favored tightening the restrictions as a matter of fiscal conservatism. Liberal groups, though, argue that illegal immigrants pay taxes, such as payroll taxes for Social Security, for which they won’t get benefits. More generally, the low-income tax credits generally benefit needy families, even if they technically did not qualify for the benefits they received. Why are we running huge budget deficits to pay benefits to people who are not eligible to receive them? This doesn’t make sense to me. It would be nice to see that change. One of the features of the tax plan proposed by President Trump is the elimination of all itemized deductions except for the mortgage deduction and the charitable giving deduction. Keeping these deductions makes sense. Home ownership produces pride in neighborhoods, helps stabilize our society, and actually helps people achieve financial success. Charitable giving is actually one of the traits of Americans. I have had people from foreign countries who have spent time in America tell me that they are amazed at the willingness of Americans to give or to help in an emergency. Keeping both of those deductions makes a lot of sense. One deduction that will be eliminated is going to be fought by Democrats from some states with high income taxes. That is the deduction for state and local taxes. States like New York, Connecticut, California, and Massachusetts that have high income taxes or property taxes are currently being subsidized by the federal government. People who live in those states actually get a break on their federal taxes because their state taxes are so high. You can expect Senators and Representatives from the states listed above to protest loudly against this tax proposal. However, there may be some Democrats from smaller states that are tired of subsidizing the high tax states that will support it. The Democrats generally vote as a bloc, but because most Americans support tax reform, it will be interesting to see if all of them are willing to take a suicide plunge. Another thing to watch in the reporting of this tax plan is the narrative. In the past, any time tax cuts are proposed, the Democrats begin their battle cry of ‘tax cuts for the rich.’ That battle cry and its previous success gave us eight years of a presidency where the GDP never reached 3 percent growth. At some point the American people are going to realize that the cry of ‘tax cuts for the rich’ has not helped those in the middle class. Salaries and home ownership rates have decreased during the past eight years. The poverty rate has increased and the number of Americans on food stamps has grown exponentially. America’s current tax plan is a tribute to lobbyists. There are a lot of very wealthy special interest groups that do not want to see major changes in our current tax plan. Those groups will be very busy in the coming weeks. The only way to counter the negative spin that will be used to fight this tax plan is to email, call, write, or speak to your Senator or Representative to Congress and tell them that you support the changes proposed. It is time to simplify the tax code and to stop forcing lower tax states to subsidize higher tax states. This plan is something that will be good for most Americans and good for America. Yesterday The Washington Free Beacon posted an article about the IRS Scandal of targeting tea party groups and their members. The agency will not say when it will make the documents available to the public. The IRS needs to be cleaned up from top to bottom. I am sure there are good people doing their job at the IRS, but it has become obvious that the agency has become politicized in recent years. The best solution would be to abolish the IRS and go to a use tax that did not require monitoring by the IRS. Yesterday The Hill posted an article sharing some news about the wall Donald Trump plans to build on the southern border of America. …The Hill reported late Tuesday that 225 companies — mainly construction and engineering firms — have voiced interest in building Trump’s proposed wall. The list was compiled from a website for contractors interested in doing business with the federal government. Contractors intrigued by the project have until March 10 to submit a prototype concept paper, followed by a formal request for proposal by March 24. Interested parties so far include construction companies like Caddell and Raytheon, a top defense contractor. A number of small businesses have also applied, including 20 owned by Hispanic-Americans who could come under scrutiny for helping create the structure. …The Department of Homeland Security estimated last month that Trump’s could take 3.5 years to complete and cost up to $21.6 billion. Fixing that problem would provide a major portion of the cost of building the wall. I am sure there are other costs to illegal immigration that could also be eliminated to pay for the wall. The death tax is not designed to be a tax–it is designed to redistribute wealth. The money is taken from the people who earned it, goes to the government, and the government redistributes it to people who have not earned it. Another perspective might call it theft. “It’s just wrong to work your whole life to build up a nest egg, build your own business–you pass away and Uncle Sam can swoop in and take away nearly half of everything you’ve earned,” because of the ‘Death Tax,’ said Rep. Kevin P. Brady (R.-Texas). “Can you imagine that? Having to sell off most of your land, just to keep it from the government, just to save the house,” he said. “There are two new major threats to family-owned farms and businesses right now,” said Brady, who succeeded Speaker Paul D. Ryan (R.-Wis.) as the committee chairman when Ryan became the Speaker. “Number one is Hillary Clinton’s proposal to raise the death tax rate to 65 percent, which would be the highest rate since the 1980s,” he said. “At that point, you’re confiscating property and land and businesses,” he said. “The other threat is the Obama administration’s Treasury Department rules that came put in August.” The new rules, called “valuation rules,” impose higher tax liabilities onto families trying to pass their businesses to family members, he said. It is as if the IRS decided to raise taxes on its own, he said. Brady told Breitbart News he did not grow up in a wealthy family, so he did not understand the death tax and its impact until 1997, his first year in Congress. The moment came when a couple from his district came up to him and sketched out what the death tax had in store for them, their children and their nursery business. The couple took out a piece of paper and sketched it out for him. “Just on a piece of paper, they wrote down how they had no debt, two or three kids were running the business and they basically showed me that if they could have enough money in life insurance and could go to the bank to borrow the money, they could keep their family business,” the chairman said. The money a family accumulates in a family business has already been taxed. That alone should preclude the government from taking any more of it! If nothing else, Hillary’s death tax will kill not only the family farm, but any successful family business. I realize that I am not an impartial observer, but it seems to me that there are very different rules for democrats and republicans. Media bias right now is over the top, and the democratic party seems very willing to oppose voter identification laws that would play a role in preventing election fraud. One of the eye-opening events in recent years was the Internal Revenue Scandal (IRS) that specifically targeted conservative groups applying for tax exempt status. It was discovered that the IRS was targeting conservative groups, and the head of the IRS stepped down. However, there was some real question as to whether or not that targeting stopped. Evidently, it didn’t. On Friday, The Wall Street Journal posted an article about a recent court decision regarding the IRS targeting of conservative groups. A federal appeals court Friday revived a pair of lawsuits against the Internal Revenue Service stemming from the tea party targeting scandal. The mixed ruling by the U.S. Court of Appeals for the District of Columbia Circuit threw out claims for damages against the U.S. government and senior IRS officials sought by the conservative nonprofit plaintiffs. But the appellate panel reversed a lower court that had dismissed the litigation entirely. The ruling expressed skepticism with IRS assurances that it was no longer subjecting conservative organizations to discriminatory treatment. The decision Friday threw a lifeline to two lawsuits brought by dozens of conservative nonprofit groups, including Texas-based True the Vote, an advocate for stricter voter registration enforcement and voter identification requirements. True the Vote discovered rampant voter fraud in Houston. The details are here. The fact that they were attacked does not say good things about the administration that targeted them. The court said beyond the potential for more abuse, the IRS hadn’t ceased discriminatory conduct, noting that at least two tax-exempt applications submitted by plaintiffs were still pending. That meant, in the judges’s view, that the case had not become “moot” as U.S. District Judge Reggie B. Walton had concluded in 2014 when he dismissed the lawsuits. Lawyers for the plaintiffs said the ruling gives their cases a lifeline with an opportunity to dig for more evidence. The IRS needs to be either done away with or cleaned up. Neither is likely under an Obama or Clinton administration. The attack on conservative groups was designed to silence their voices during the 2012 election. Although the attack has morphed into other areas, the attack has not ceased. Any American who depends on the mainstream media for their news is routinely told things that are not true or not told things that are true. The picture that the mainstream media is painting of both Hillary Clinton and Donald Trump are caricatures–they are not realistic images. Americans are responsible for the leaders they elect. However, there are forces at work that are attempting to prevent Americans from making informed choices in electing those leaders. The Washington Examiner is reporting today that three IRS workers are facing prison time for defrauding the government. The Treasury Inspector General for Tax Administration detailed the charges today. Paul G. Hurley, who worked in Seattle, was found guilty of taking bribes from a part owner of a chain of recreational marijuana shops. “Hurley seemed sympathetic to the taxpayer regarding the [Internal Revenue Code’s] prohibition against deductions and credits for businesses in the marijuana industry and talked about being unhappy at the IRS,” the watchdog said. Hurley took a $5,000 payment, and then a $15,000 payment from the business owner. He was sentenced to 30 months in prison, plus three years of probation. Creshika Wise pleaded guilty to aggravated identity theft back in May. Wise was an IRS revenue agent in Atlanta, and developed a scheme to ensure that all or part of a $758,846 payment due to the IRS would go to herself. Kimberley Brown-English was found guilty of six counts of preparing and filing false tax returns. “Neither of the individuals claimed as dependents had a familial relationship with Brown-English,” TIGTA said. The IRS is one of the most powerful federal agencies in the country. They have amassed too much power and have become politicized. It is truly time for them to go. He has, acting personally and through his subordinates and agents, endeavored to … cause, in violation of the constitutional rights of citizens, income tax audits or other income tax investigations to be initiated or conducted in a discriminatory manner. So Lerner, the IRS, Obama—they were all correct that the targeting fiasco started with a “line agent” in Cincinnati. They just neglected to mention that within twenty-four hours of that agent’s alert—and every minute thereafter—it was political types in Washington running the show. When Koester talked about “media interest,” he was undoubtedly referring to the wall-to-wall coverage that had just followed the Citizens United decision. He’d likely seen the White House’s furious reaction to the Court’s decision to free up speech rights, and Obama’s dressing-down of the Supremes. He’d likely seen the Democratic Party and its media allies bang on daily about the evils of conservative “nonprofits.” He’d likely taken in the nonstop stories about the Tea Party gearing up in opposition to Obama, and how they were rushing into the (c)(4) realm. And he likely knew those groups were having an effect. Only a month earlier, Scott Brown had won that Senate race, against all odds. Koester was a prime example of how an executive branch—and a political party—can drive a story and make the bureaucracy take notice. We know that one person in particular took notice: an ambitious partisan by the name of Lois Lerner. Lerner shocked Washington with her May 2013 admission that her agency had harassed Americans. The shocking thing was that anyone was shocked. Lerner to this day won’t cooperate with any real investigation; the nation has been denied the opportunity to hear her story. But e-mail is a wondrous thing. Between her records and the recollections of her colleagues, we have a vivid portrait of the former head of the IRS’s Exempt Organizations unit. She was a brassy, self-assured bureaucrat with Democratic leanings and a near-messianic belief in the need for more speech regulations. I plan on reading the entire book, but Ms. Strassel’s comments in the article confirm what most Americans already knew–the IRS has been used by the Obama Administration to limit free speech. During the Nixon Administration, using the IRS as a political tool was an impeachable offense. Why? Because the media kept up a constant drum beat about the offense. Unfortunately conservatives do not have that media back-up. It is up to us to fight for our First Amendment rights. Unless more Americans wake up to what is happening, that will be a very long and hard fight. Congratulations. Today is April 15th, Income Tax day. Tax Freedom Day this year is April 24th. Tax Freedom Day is the day Americans stop working to pay the government and begin working to pay themselves. The tax code has become so ridiculous that many Americans use a computer program or an accountant to file their taxes. TurboTax and other tax services profit mightily because of our ridiculous tax system. The Tax Code is a tribute to the lobbying efforts of special interests. It is the crowning achievement of the Washington establishment. Meanwhile, Washington wants to make it better. The American Thinker posted an article today stating that Senator Elizabeth Warren wants to make filing your taxes free for Americans. Sen. Elizabeth Warren says taxpayers shouldn’t have to pay for tax software. She has the support of other liberal Democrats. She has introduced a bill that would require the IRS to make available a “free” online filing option to some taxpayers. She doesn’t mention that taxpayers will have to pay for the development and continuing maintenance of this system through higher taxes. So it won’t be free. Rather it will be a system the cost of which is hidden in the fine print of the federal budget. Never mind that TurboTax and other software companies now offers a no-cost option for a majority of taxpayers. Sen. Warren says TurboTax keeps it secret: a secret known only to the 3 million people who use it and to millions of others who know about it but choose not to use it. The IRS website has a direct link to the free software. The various software companies also have links from their websites. Wouldn’t it be simple if Sen. Warren were to promote the existing free system? Who believes that a system developed by the IRS would be easier to use? At least TurboTax and other private businesses have an interest in protecting the taxpayers’ identity. Recent testimony on Capitol Hill indicates that the federal government is not doing a very good job of that. Senator Warren also wants the IRS to send some taxpayers a “completed” federal return which the taxpayers can sign and file. You can be sure that there will be no promise that the taxpayers who accept this option will be exempt from subsequent audits that can lead to additional taxes, penalties, and even prison. Who believes that the IRS will work to minimize the taxes on the returns it prepares? Will the IRS encourage contributions to Individual Retirement Accounts? Will the IRS help taxpayers avoid ever increasing penalties imposed on taxpayers by ObamaCare? Will the IRS recommend investing in tax-exempt bonds to save taxes? What about itemized deductions? I don’t think anyone believes that the IRS will adapt to a role where it advocates for taxpayers in place of its traditional role of tax enforcer and collector. When will Americans learn that nothing from the government is free? The government has no money except that which it takes from Americans. We need to realize that before we are totally bankrupt. Today’s Washington Examiner posted an article about the eight worst federal agencies in Washington and how they could be fixed. Here are some of the highlights. The article begins with the Department of Education. It has a 2016 budget of $79 billion. About 6 percent (250) of its employees are considered essential. It has existed for 36 years. McCluskey (Neal McCluskey, who directs the Center for Educational Freedom at the libertarian Cato Institute) said only two Department of Education activities can be justified: the Office for Civil Rights, to enforce the 14th Amendment, and Impact Aid, which gives federal funds to school districts that are burdened by nearby federal installations such as military bases or large science labs. Even then, the department doesn’t perform those two activities particularly well, McCluskey said, but at least they’re justifiable. The next department the article lists is the Environmental Protection Agency (EPA). The EPA has a 2016 budget of $8.14. About 7 percent (1072) of its employees are considered essential. It began operating in December 1970. Ozone rules, the EPA’s new regulations for smog, also are a captivating force for lawyers looking to sue the agency. Greens are suing the agency because the regulations made law last year were not strict enough. Hailed as the most expensive regulations in history, industry is suing because they argue they are too strict. As a twist, industry groups have come to the EPA’s aid in the lawsuit by the greens. For example, his group has proposed a host of streamlining proposals in recent years targeting the National Environmental Policy Act review process, known as NEPA. The NEPA review process has become a key target for critics who see it as an overly burdensome and duplicative process for permitting energy and infrastructure projects. Another agency the article lists that are in need of reform is the Department of Health and Human Services. Payments to Medicare and Medicaid providers are not carefully scrutinized and fraud is a problem. Another issue in the Department is the Food and Drug Administration’s lack of speed in bringing new drugs to the market. Other agencies listed are the Internal Revenue Service, Office of Personnel Management, the Secret Service, the State Department, and the Department of Veteran’s Affairs. Please follow the link to the article to read the details in each department. We need someone in Washington who is not afraid to upset the status quo. Senator Ted Cruz is not a Washington insider. Despite the fact that his career path has taken him to Washington, he is not part of the ‘in-crowd.’ He has shown numerous times that he has basic principles and that he is willing to take a stand on those principles whether anyone joins him or not. This sort of thinking is dangerous to the Washington establishment–of either party. That is one reason the attacks on him will increase as the primary elections continue. Currently the Internal Revenue Service Tax Code is a tribute to the effectiveness of lobbyists. The tax code is used to encourage certain behavior and discourage other behavior. There are times when the tax code has been used to encourage marriage and families and times when it has been used to discourage marriage. Certain business with strong lobbyists have received tax breaks in the past. The tax code has been used to subsidize certain industries and behaviors. Crony capitalism has been a major force behind changes and writing of the tax code. It is time for that to end, and Ted Cruz has an interesting suggestion as to how to end it. 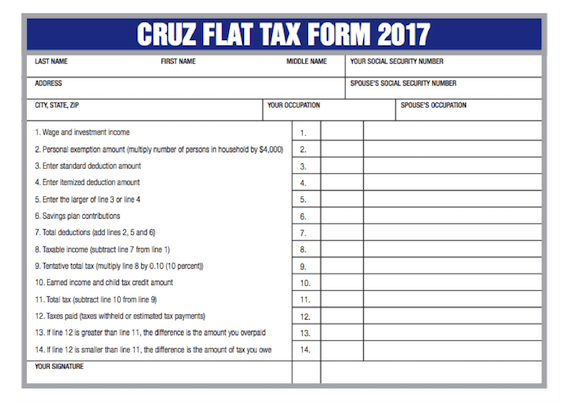 Wouldn’t it be nice to be able to pay your taxes on this simple form? 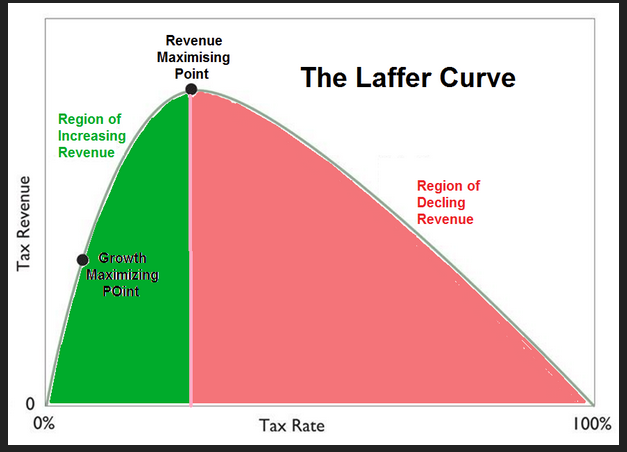 The Simple Flat Tax creates a simple, single-rate flat tax for individuals. The existing seven different rates of individual income tax will become one low rate: 10%. A family of four will pay no taxes on their first $36,000 of income. The plan exempts a large amount of initial income for low- and middle-income taxpayers, with a $10,000 standard deduction and $4,000 personal exemption. It also keeps the Child Tax Credit and expands and modernizes the Earned Income Tax Credit with greater anti-fraud and pro-marriage reforms. The plan keeps the charitable giving deduction and features a home mortgage interest deduction, capped at principal value of $500,000. The corporate income tax along with the payroll tax are abolished, replaced by a 16% Business Flat Tax. The current corporate tax code is riddled with years of accumulated loopholes and special favors, burdening U.S. businesses with the highest top tax rate among the advanced nations. This convoluted and anti-competitive structure will be replaced with a simple 16% tax on net business sales (gross sales minus expenses and capital expenditures). The current payroll tax discourages work and job creation. The vast majority of Americans pay more in payroll tax than in income tax. The Simple Flat Tax will eliminate the payroll tax, boosting jobs and wages for working Americans, while guaranteeing funding for Social Security and Medicare. The Simple Flat Tax creates Universal Savings Accounts (USA) allowing savings of up to $25,000 per year in tax-deferred dollars. Savers can withdraw the funds at any time for any reason – whether it be for college tuition, a down payment on a home, or their son or daughter’s wedding. This savings feature harmonizes with the tax elements of the Cruz Simple Flat Tax to move toward encouraging savings and investment – a recipe for economic growth and jobs. There are other tax reform plans out there, but this plan looks possible and interesting. The plan also eliminates the death tax, the overseas profits tax, the Alternative Minimum Tax, and the ObamaCare taxes. I would just like to note that there is some serious double taxation in our current tax code–the death tax taxes money that taxes were paid on during the life of the person who died. Taxes paid on Social Security income are being paid on money that was already taxed when it was earned. The government needs to become considerable less greedy and allow Americans to keep more of the money they earn. The Washington Examiner posted a story today about the investigation into the Internal Revenue Service‘s (IRS) discrimination against conservative political groups. In a letter to IRS Commissioner John Koskinen Wednesday, the pair of Republicans questioned the tax agency’s record-keeping policies, which have come under fire for years thanks to a series of lengthy congressional investigations that were stymied by the IRS’ failure to turn over key documents. It is very easy to avoid the consequences of your actions when you erase all of the evidence. Unfortunately, despite the fact that it was illegal, that is what the IRS did. Chaffetz (Representative Jason Chaffetz) and Jordan (Representative Jim Jordan) likened the development in the Microsoft case to the now-infamous destruction of 422 back-up tapes containing the emails of Lois Lerner, former head of the IRS’ tax-exempt unit. Tax officials wiped those tapes “in spite of the existence of a preservation order, a non-destruction order from the Department of Justice and a congressional subpoena,” the congressmen wrote. Led by Chaffetz, who chairs the House Oversight and Government Reform Committee, House Republicans moved to impeach Koskinen in October after he misrepresented the IRS’ search for documents that had already been deleted. We need to elect people who will hold our government accountable when it acts contrary to the Constitution it has pledged to protect. Anyone involved in this deletion of documents needs to be fired immediately and prevented from ever working for the government again. It is obvious that the people who destroyed these documents and records figured that the price of destroying them would be less than the penalty if they were released. The Wall Street Journal posted an article yesterday about a proposed change to charitable donation reporting to the Internal Revenue Service (IRS). The IRS had proposed a change to the law that would have given charities the ‘option’ of filing detailed reports on everyone who donates more than $250 to the charity. The detailed reports were going to be ‘voluntary’ (at least until the IRS was able to put them into law). The information reported would have included Social Security numbers. The Wall Street Journal is now reporting that the IRS has withdrawn the proposal. Amazingly enough, in this case the IRS appears to have listened to concerns from the taxpayers who pay their salaries. On Thursday the IRS said it is withdrawing its proposal after receiving “a substantial number of public comments.” Many of the comments “questioned the need for donee reporting, and many comments expressed significant concerns about donee organizations collecting and maintaining taxpayer identification numbers for purposes of the specific-use information return,” said the IRS. The legitimate anger of average citizens was amplified by stalwart IRS watchdogs like Rep.Jim Jordan (R., Ohio) on Capitol Hill. One year after Republicans took control of the Congress, and one year before President Obama leaves the White House, the pendulum is beginning to swing against IRS abuse of taxpayers. Coming on the heels of other reforms in the year-end tax and spending bills—including a ban on new IRS rules limiting political activity—Thursday’s news is reason to cheer. Now if we could just get rid of the IRS, we would have something. It is interesting to me that the American government was able to fulfill its Constitutional duties prior to 1913 without the billions of dollars they now collect and spend. What are they doing now that has changed that? Do we need to go back to a government that follows the instructions and limitations of our Constitution? I think that would be a really good idea. Today’s Washington Free Beacon posted a story stating that the Internal Revenue Service issued $46 million in erroneous tax refunds in 2013 returns. The Treasury Inspector General for Tax Administration (TIGTA) released an audit Monday faulting the IRS for approving thousands of potentially fraudulent tax refunds in 2013. The audit said the returns were flagged for claiming a “questionable tax credit” but were then automatically issued before the IRS could complete its verification process. In addition, the audit identified 3,910 “potentially fraudulent” tax returns that were issued due to ineffective monitoring, totaling $19 million. The article states that the audit recommended that the IRS improve its screening and verification process. No kidding.